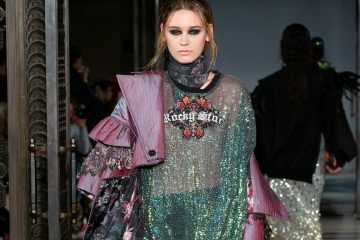 Fashion loves a trend and of late sustainability has been gaining more and more traction. However, 2018 is the year that this trend evolves into the mainstay of fashion. From using fewer chemicals to recycling and re-purposing, sustainability is de rigeur. The main point of all these efforts is the fact that the resources we have on earth are not going to last forever; sustainable fashion brands are not aiming to chastise us for being consumers but instead offers us a choice to help ourselves and the planet. We at PMHQ think that this a very worthy cause and have created a round-up of some of the best brands in the sustainable market right now. Ali Hewson founded Edun in 2005. The New York womenswear label is committed to working in an ethical way, promoting fair trade and production across Africa. This not only boosts the economy in Africa but also helps to keep dying crafts alive by offering work with longevity. The label works closely with Africa to strengthen the bonds and business ties, helping to include African creators in the worlds fashion markets. Edun has also of late been the recipient of some LVMH funding, so this cause is set to hit the headlines soon. 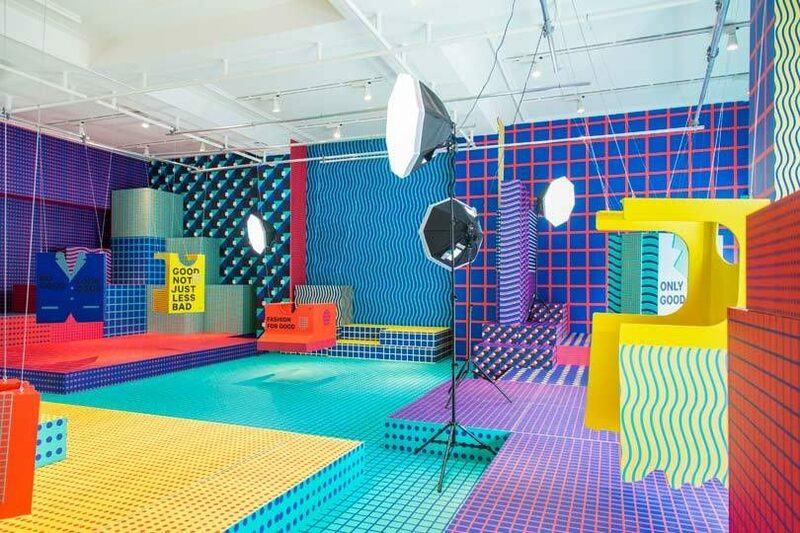 Now a major layer on the high-street with brands such as Cos, Monki, &Other Stories, Weekday and Arket under one umbrella brand, H&M has a serious impact upon the landscape of fast fashion retail. H&M is committed to sustainability and state that they aim to be “climate positive across our entire value chain by 2040 – at the latest” this is a bold move for such a large fashion brand. However smaller steps have been made through product lines in other parts of the business. 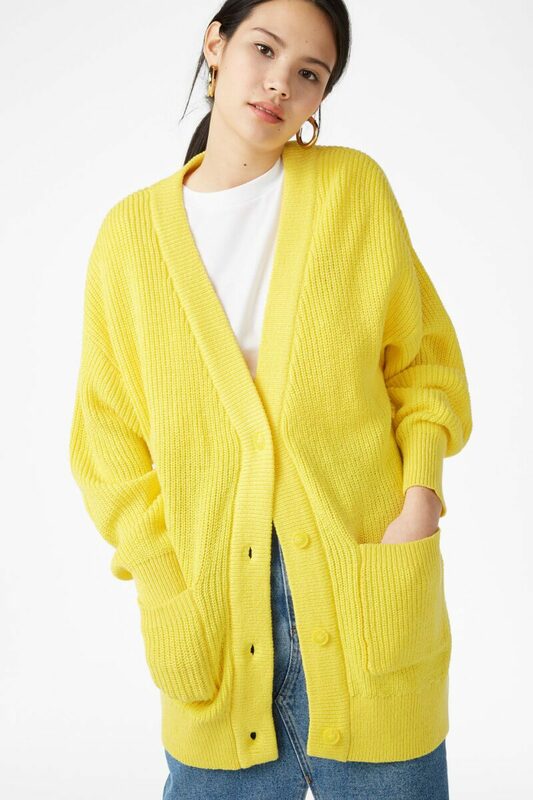 Monki, for example, use only 100% organic cotton in their jeans and recycled polyamide in knitted garments comes from materials like old fishing nets and carpets, as well as waste left-overs from production. 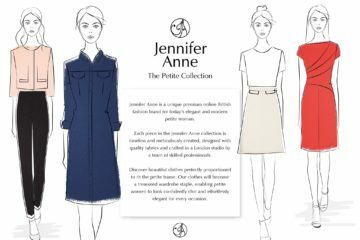 They also work with Tencel, a lyocell fibre with a very low environmental impact during the production – low use of chemicals and water as well as low CO2 emissions. 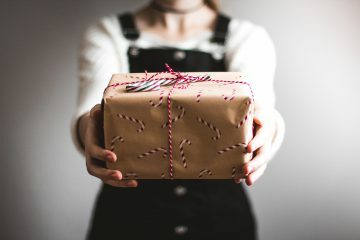 Fashion for good is an organisation that works on a simple 5 phase principle of the five Goods; Good Materials, Good Economy, Good Energy, Good Water and Good Lives. This partnership with Adidas will mean that both businesses succeed through each other’s successes. 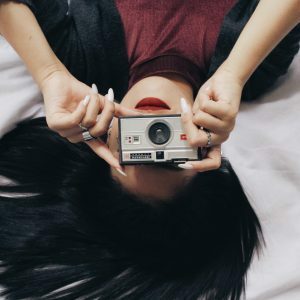 This partnership sees fashion for good cementing its place in the industry as a global initiative to make all fashion good. Adidas, an industry leader, has strong sustainability and innovation credentials, and will also aid the development alongside Plug and Play, the world’s largest global technology accelerator, to help identify blue-sky breakthroughs early on and support their development through an intensive startup programme. This partnership sees fashion being steered on the path of serious commitment to sustainability. A smaller brand, but still having a big impact. Crowther/Plant, based in Margate and designed and made in the UK, offer a brand of easy separates. Using only 100% organic cotton and traditional skills, they’re helping to keep craftsmanship alive in the UK. 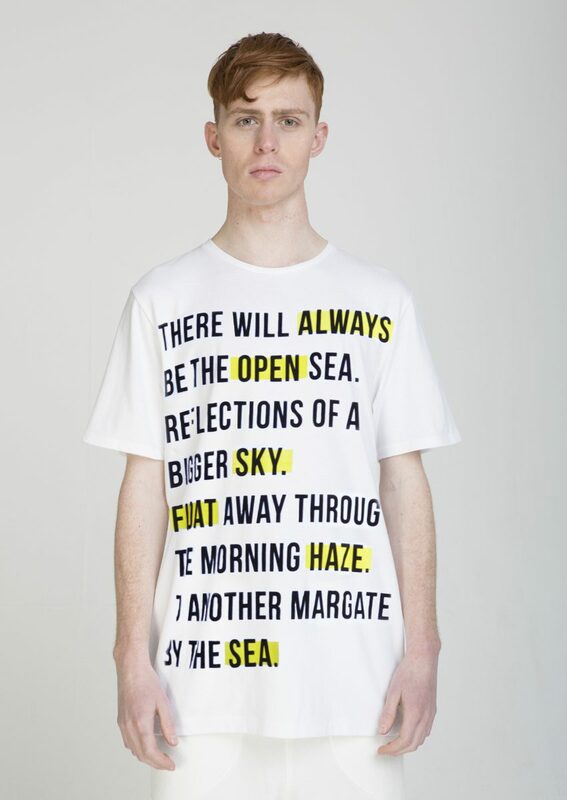 The brand also uses the natural resource of the sea in Margate to help keep the company sustainable. The use of the sea is explained: “each t-shirt is put through a tidal cycle to embody it with the spirit of the ocean before being rinsed and dried to find its natural fit”. 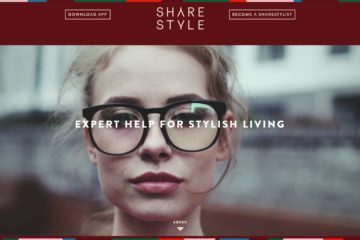 A unique and thought-provoking way to find sustainable fashion. Who knew that shoes can be sustainable? Well, trainer brand Veja are proving that their product is. Rubber for trainers on our high-street is mostly synthetic and made from fossil fuels, which is cheap but comes with a high cost to the planet. 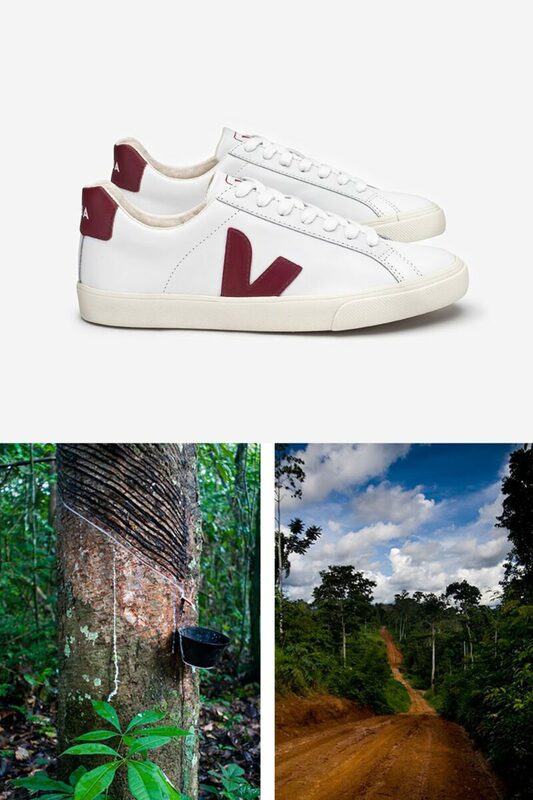 Veja uses all natural rubber from the Amazon, the only place where rubber trees grow in the wild. They support and work with local Amazonian rubber tappers who live in the forest and harvest rubber from the trees. The tappers turn the raw latex from the trees into rubber sheets, which are sent directly to factories allowing them to a yield a higher income to support their livelihood. The rubber is then used in the soles of Veja trainers. We will certainly think twice about the rubber used in our souls. 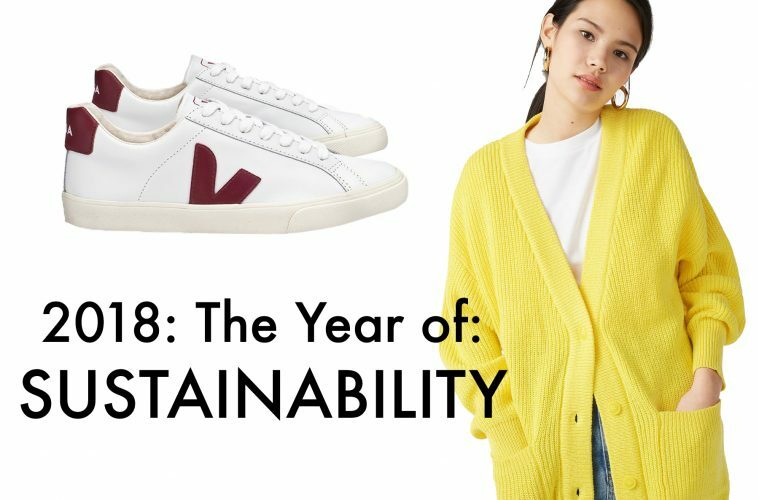 It is clear that sustainability is a key part of fashion in 2018, and however you choose to implement it into your lifestyle, it’s clear there are plenty of (very stylish) options.